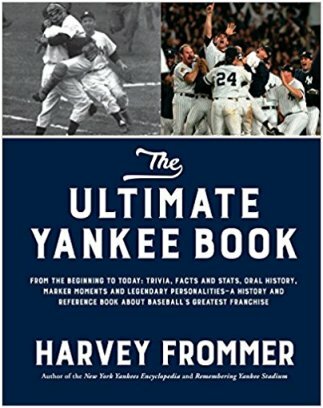 With the NFL going down its home stretch, with baseball and spring training on the horizon, for your reading pleasure a flashback thru Yankee history to see some of the marker moments for the franchise focused on the varied and unusual spring training environments. 1907-1912: The Yankees in Georgia during this time played in Atlanta, Macon, Athens and then Atlanta again. 1913: Seeking sanctuary from the cold and rain that had been present during previous spring trainings, the Yankees moved their camp outside of the country for the first and only time. On March 3, most of the team and support staff sailed to Hamilton, Bermuda. A converted cricket field was used as the practice facility. 1914: Houston, Texas is the Yankees spring training site. 1915-1918: Under manager Bill Donovan, the Yankees returned to Georgia that included a three-year stay in Macon, the team’s longest stay at one location to that point in time. 1919-1920: The Yankees became part of growing trend relocating its spring training to Florida in 1919. All three New York teams were there, the Giants in Gainesville, the Yankees and Dodgers in Jacksonville. “The clubs expect to benefit by the arrangement, for it will give each club the advantage of playing against major league opposition from the very start of the training season,” noted the New York Times. Newly acquired Babe Ruth was part of the 1920 spring training environment. At an exhibition game he went into the bleachers to mix it up with a taunting fan. When the fan showed off his knife, Ruth backed off and went back to the safety of the playing field. Had Ruth not held his temper, the whole course of Yankee history may have been different. 1925-1942: St. Petersburg, Florida and the New York Yankees had a longstanding and highly successful relationship. 1943-1945: World War II precluded teams traveling very far from home for spring training. In 1943, the Yankees made use of a high school in Asbury Park, New Jersey. The final two years of the war saw them training in the 112th Field Artillery Armory and playing exhibition games at Bader Field in Atlantic City. 1946-1950: The Yankee returned to St. Petersburg, Florida when WWII was over. In 1947, they moved into a new stadium, Al Lang Field. 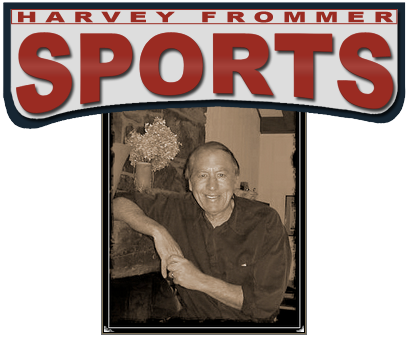 It was joint home for the Yankees and St. Louis Cardinals. 1951: Spring training was in Arizona, the first and only time for the Yankees. The one-year trade-off of training sites was a courtesy by the New York Giants to Yankees’ co-owner and vice president Del Webb, who hailed from Phoenix. 1952-1961: It was back to St. Petersburg in 1952 for the Yankees. As the fifties moved on New York was dissatisfied with what was perceived as favoritism toward the Cardinals with whom they shared the spring training site with. There was a Yankee disappointment with spring training proceeds that went to the city. The spring of 1961 was the last for the Yankees in St. Petersburg. Yankee co-owner Dan Topping said: “In St. Petersburg, we practice on one field and play on another. In Fort Lauderdale, we would have the town to ourselves”. 1962-1995: The Yankees brand new $600,000 Ft. Lauderdale Stadium is ready for spring training. The ballpark broke new ground with seating for 8,000, air-conditioned clubhouses, on-site offices. 1996-Present: The Yankees moved to George Steinbrenner’s adopted home town, Tampa, Florida. Legends Field, a state-of-the-art $30 million facility with identical dimensions to Yankee Stadium, received rave reviews. Seating capacity was 10,200 and expanded to 11,026 in 2007. It was re-named George M. Steinbrenner Field in 2008.